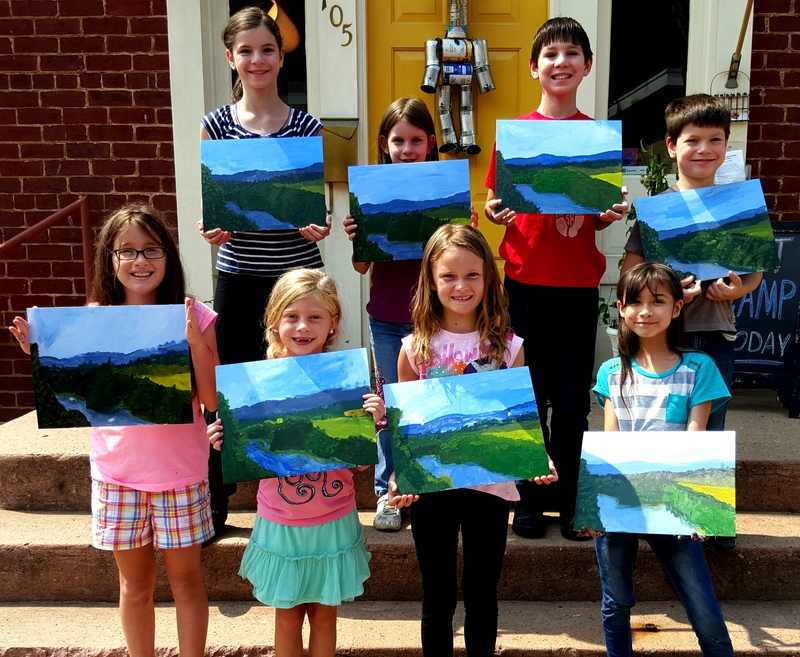 July | 2015 | "A Place for Learning"
Last Day of Camp – PETS! 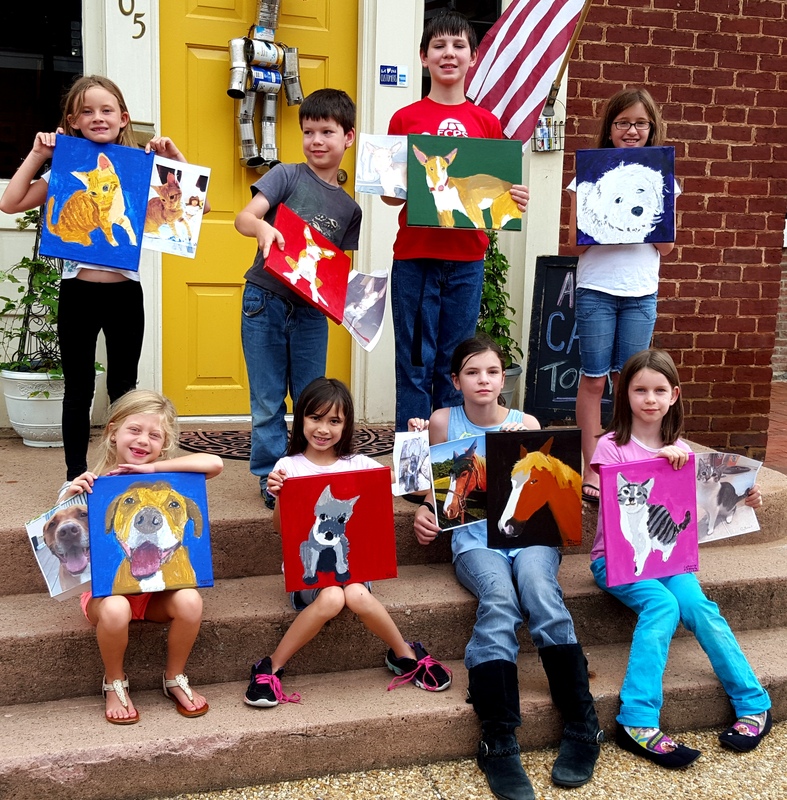 On the final day of this session of Art Camp or artists painted their pets. WOW! Such a great job on each one. Keep painting kids. You’re doing great! 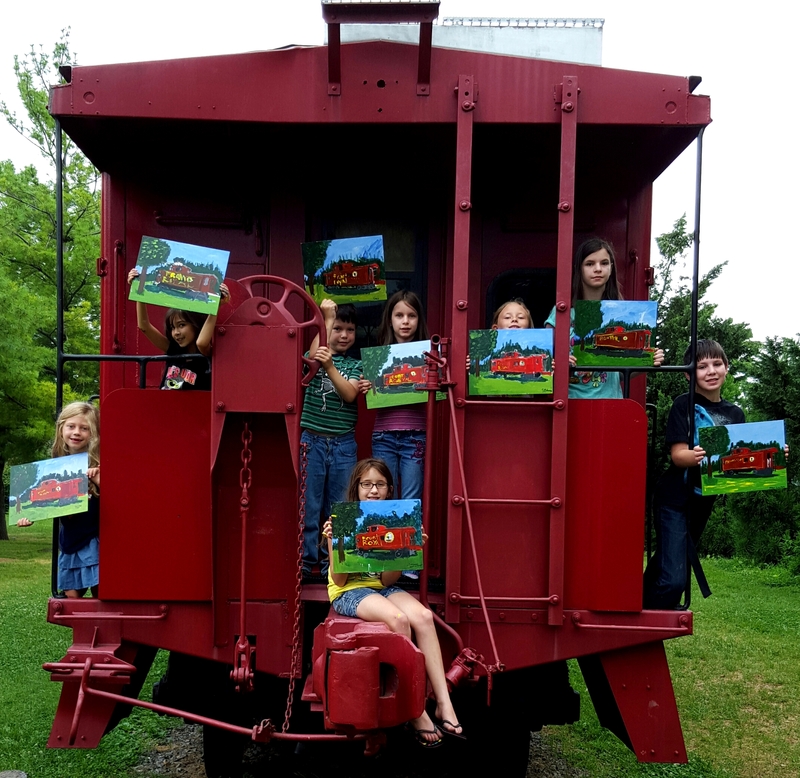 We painted the Front Royal Caboose at Art Camp yesterday. And then as a special treat we walked down to the actual caboose to take our class photo. FUN! 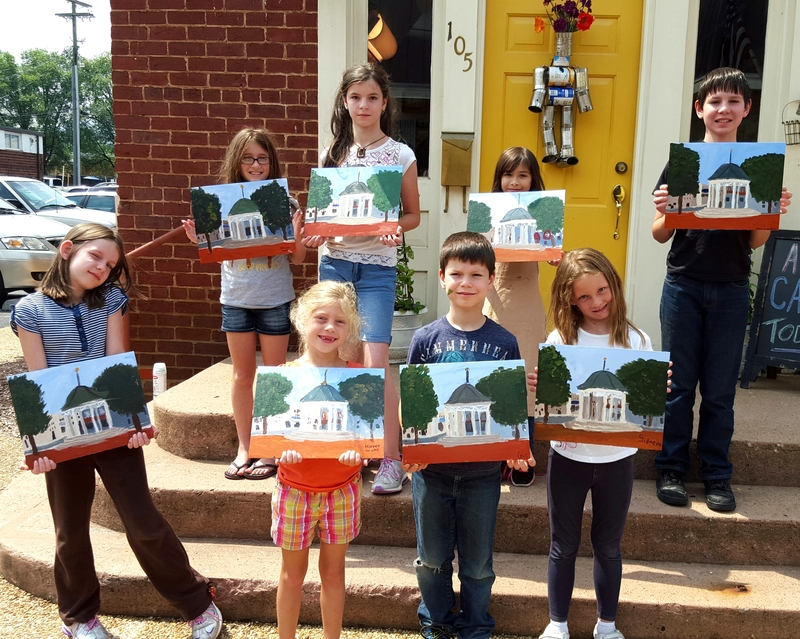 Our Art Camp students painted the Gazebo on the 2nd day of Local Flavor week. Great job everyone!!! 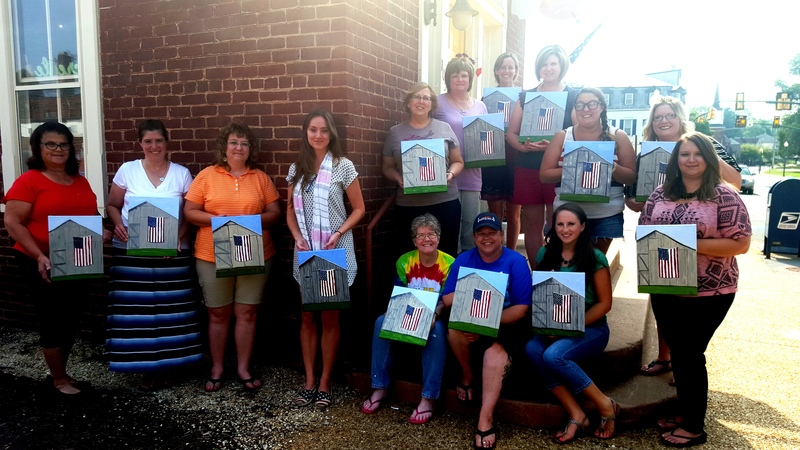 We had a fabulous Paint Party yesterday as a fundraiser for the Warren Memorial Hospital Team participating in the Humane Society Dragon Boat Race coming up next weekend. This is a big fundraising event for our shelter and the hospital team is enthusiastic and ready to go. 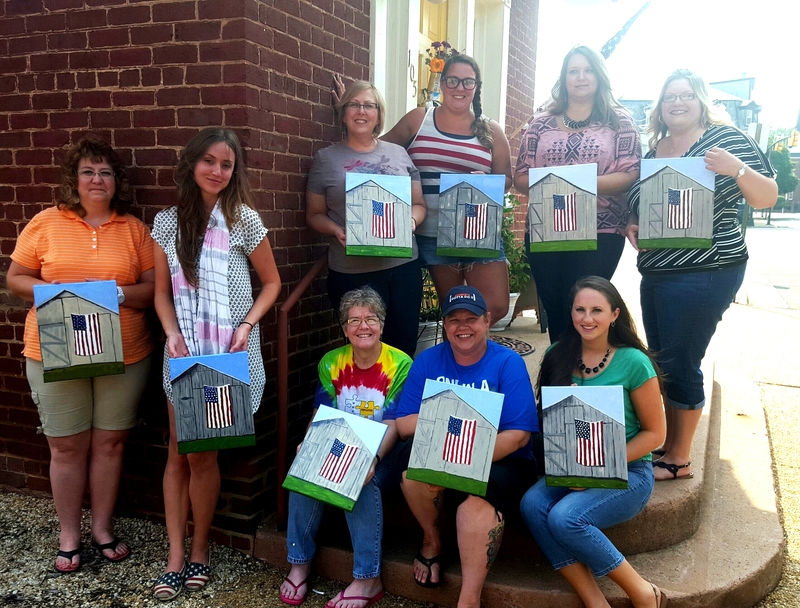 These ladies painted wonderful barns with flags. They were all just beautiful! Great job painting ladies and great job supporting a good cause! The Paint Party yesterday was great! 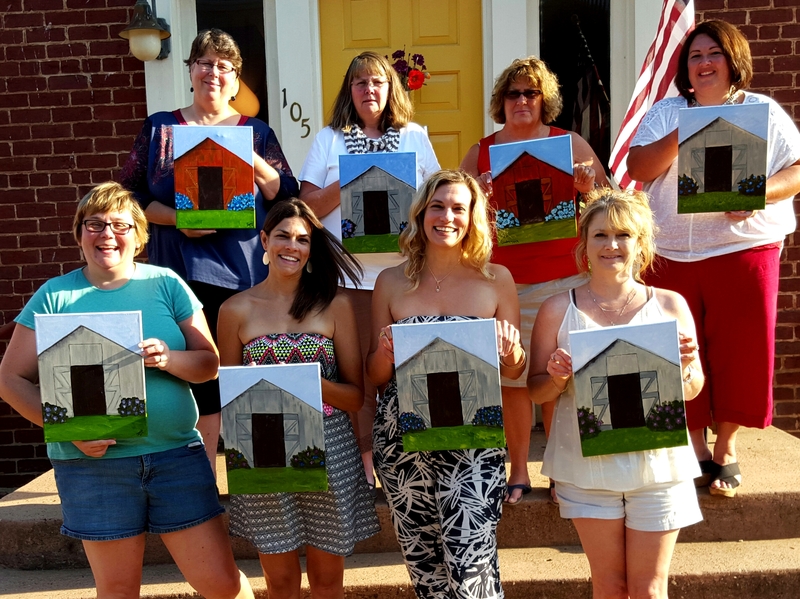 A fun bunch of ladies created a lovely painting. 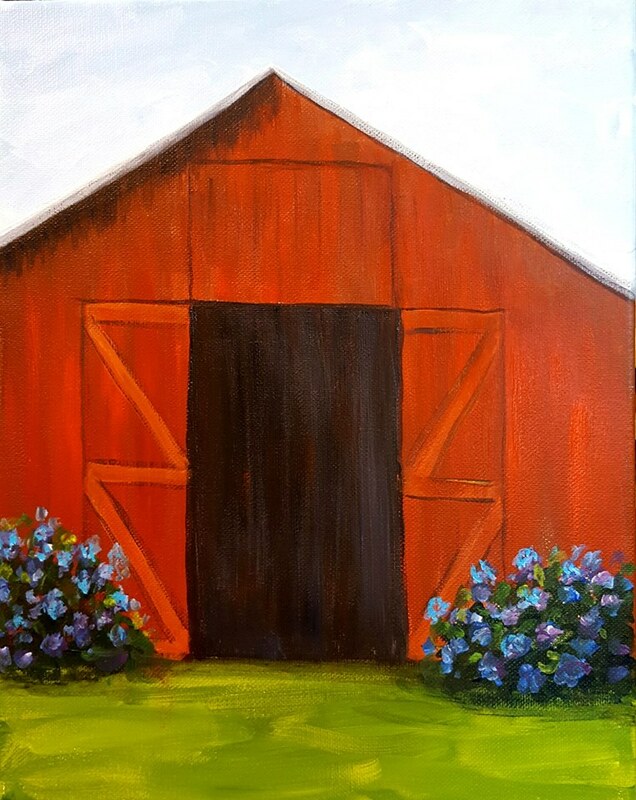 I did another version of the barn as a sample for a Paint Party today. The host wanted hydrangeas included.